Many consider the Broken Earth setting the best post-apoc material for Savage Worlds. Check out this adventure for it, GMs. After the apocalypse, a cult called the Northern Light made it their holy mission to keep the lighthouse in Ludington running. A village of survivors settled in the shadow of the lighthouse. 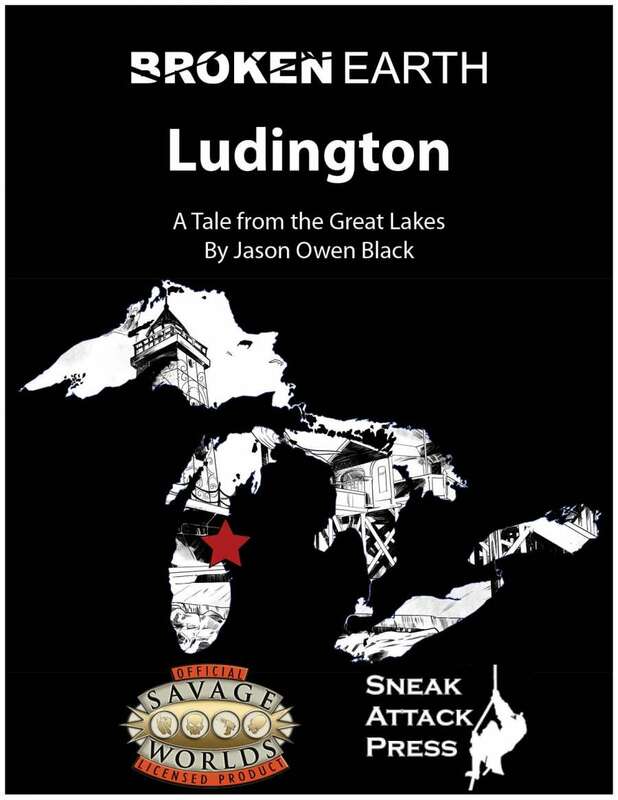 Ludington offers a safe port from the storm, but danger encroaches the town from every side. Mutant animals and carnivorous plants lurk in woods, bandits have taken the only road out of town, and fish people lurk off shore.